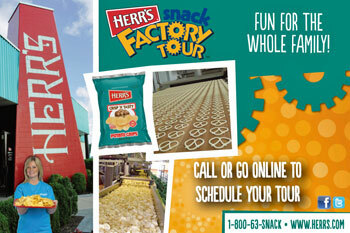 Visit Herr Foods and enjoy Herr’s fun Snack Factory Tour. Sample tasty snacks, fresh and warm from our cookers. With guided tours, gift shop, Chipper’s Café, video and more, Herr’s offers families, schools and bus tours lots of fun! 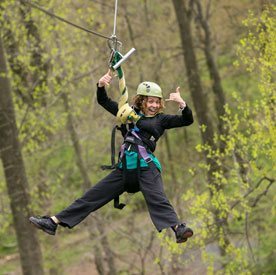 It’s a day trip of educational fun you’ll remember for a lifetime. Handicap/wheelchair accessible. Get more information on the wide variety of Herr’s Product line as well as nutritional information and recipes. 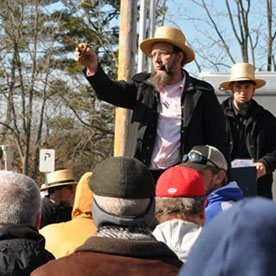 Check tour information and schedule your tour for groups and individuals. And you can check their upcoming events schedule here.